Easy to care for low growing roses. 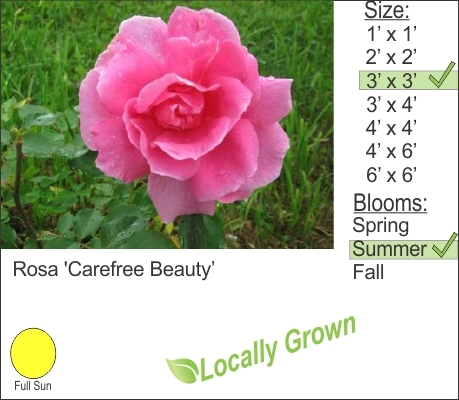 Carpet rose works well in landscape beds to provide beautiful flowers throughout the summer. The carpet rose pairs well with boxwood as a backdrop. Trim back dead branches in early spring and it will encourage new growth and better flower production.